For "The Humanity Issue" of Resource Magazine, Chief Photographer Natalie Brasington stepped in as our Guest Editor to curate a selection of imagery from The Art Start Portrait Project, which offers homeless and court-involved New York City teens, who rarely have access to the arts, the opportunity to create empowering dreams of their future and show the world how they want to be seen. 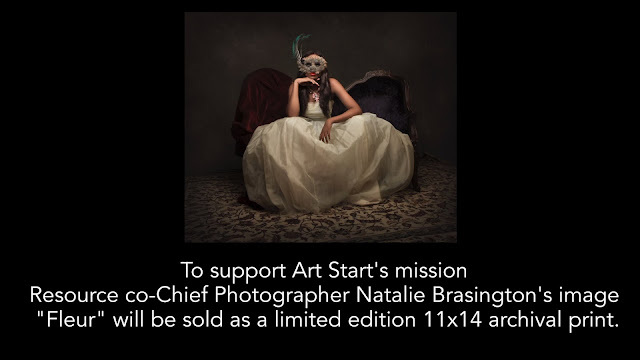 To support Art Start's mission, Brasington's image "Fleur" will be sold as a limited edition 11x14 archival print. Visit art-start.org and simply make a donation of $50 or more with the comment "Resource 50 for 50" to receive your print. Only 50 prints in total will be sold.